Guys these points should be kept in mind while filling your PIQ form these will help you in filling your PIQ form. First is that you have putted enough material on your PIQ form that you can engage them with it, and since you have fully prepared your PIQ form so you can answer them with ease. If you have left your PIQ blank then questions will go according to then not according to you. They can ask you anything they want like- present happening ,current events etc. So it is very important to fill your PIQ with good points and know each point completly. See my PIQ form Filled for reference. • Know all the personal details correctly, like education profile, certification, outstanding achievements in school and college. • Know about the place you hail from, with specific reference to the district, state and attributes of the place with special references to historical background. • Linkages to the Old Indian Civilization and general impact in the area. • Highway projects, rail communication network including ongoing metro projects. Developments/ changes taking place in view of the Commonwealth Games should also be incorporated. • Important personalities attached to the place and relative achievements and contribution to the society. Living legends like military commanders, educationists, teachers, scholars, historians, social activities, politicians, etc. should be included in briefing. • Education setup in the place, and contribution to the society. It may include universities, colleges, schools, medical college/engineering colleges, dental colleges, Agricultural setup, management institutes, call centre, hospitality sector, BPO's, etc. Such vital inputs should be kept for ready reference. • Industrial setup, sports industry, automobiles, industry, major company HQ's, banking institutes, etc. • Complete family profile to include parents, brothers, sisters, and any immediate relation concerning your profile and his contribution should be included. Complete and comprehensive knowledge is required in this aspect. • Do not hide any personal data, changing the profile of parents/relatives should be totally avoided. Be your original self and frank in discussion rather than giving misleading facts to the assessor. • Parent's occupation, income in true sense and achievements if any by the family. • Educational background details from primary, middle and secondary classes, details of extensive studies in college, etc. to be included. Professional courses to be included, value addition if any after completing graduation/post graduation, etc. to be entered. • The primary/secondary, education and type of school and college. The break if any in education/different places and any major changes in percentages to be highlighted. Outstanding achievement in education like distinction, etc. can be incorporated. • Outstanding achievement may include any special awards, percentages, contribution to school and college in education, sports, extra curricular activities. • Special references to NCC training incorporated. The NCC experience certification to include Junior/Senior Wing and level of participation in different camps, locations like National Integration Camp, Polio Campaign, Blood donations, Traffic Regulation, etc. • Games, sports to include indoor games and outdoor games. Games like basket ball, hockey, football, squash, tennis, golf, and cricket can be included. Proficiency in these games at school and college unit level advocated. • Indoor games like chess, table tennis, billiards, badminton can also be included. • Track and field events, swimming, trekking, adventure activities play a vital role for overall development of a personality. • Mountaineering, rock climbing, river rafting, skiing, boating, caning, wind surfing, gym, can act as a force multiplier at the time of interview. • Parasailing, commercial pilot training, gliding is helpful. • Reading activities to include special authors like Arundhati Roy, A.P,J. Abdul Kalam, Kiran Desai, fiction/nonfiction novels, etc. • Works of Swami Vivekananda, Pandit Jawaharlal Nehru, .Mahatma Gandhi, Encyclopedia like Britannica, Encarta, can be read for value enhancement. • Value addition with Professional Certifications or GATE score, CAT, Microsoft certification, work experience in MNCs, etc. Any special technical proficiency in computer, languages, project works like simulators, robots, etc. • Professional experience in serving with companies/ corporate sector, nature of job and contribution to the system. Experience in call centres, BPO, industry management, and retail sector. • Working with non-government organization, social organizations like CRY, Help AGE, World Vision, and Sakshi. • Individual and collective contribution to the society, colony, in case of polio campaign, literacy campaign, and social awareness programmes, hygiene, sanitation, etc. • Help to troops operating in Kargil operation/flood victims/Tsunami, help to the destitute and the needy. • Extra curricular activities like taking part in math's olympiad, debate competition, quiz competition, dramatics, plays, special appreciation in any field like painting, sketching, drawing, mono-acting, caricature, cartoons, etc. sketching, archery, book reading can be incorporated under this category. • Interests are separate from Hobbies. Interests can be practiced once in a month. Visiting old age homes, leprosy centres, helping poor and the needy. Attending to weak and the destitute. Feeding animals/birds can also be part of interest. • Motivating force to join the army can be referred to war movies gallantry award winners, scenes of aggression during 1962, 1965, 1971 wars, Kargil operation and also motivation from the place/within the family. 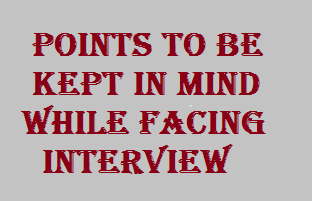 No Comment to " What are the points bone in mind at time of SSB interview / PIQ Form Filling "